Do You Know How to Wonder? You can file this story under “sometimes I’m a jerk.” This happened last week, and I just happened to think of it right before I got to the cafe to sit down and write. I just had to write this. Call it the Jurisdiction of the Neighborhood – Call it Let Me Show You Justice – Call it Sometimes I’m a Jerk. I was pulling into a parking space last week – headed to another cafe. It was raining. It was a bit miserable. It was the cafe that I do some of my best writing it. As I was looking for a spot – I happened to see a choie spot. You know the one that I’m talking about; the spot at the end. The coveted end spot closest to your destination. As I pulled up to the spot, I had noticed that the car next to me had kinda parked a little over the line. The car was spilling over to my spot – MY choice spot. Since it was an end spot, I decided to take a chance and park my car as close to her car as I possibly could – they couldn’t dent my car because they couldn’t get in. I took my chances. I parked and just so that I could get closer, pull out of the spot and inched even close to the car. I almost run over a little old lady to do this. This was going to have to be one skinny person that needed to get into the car. Serves them right for spilling over on to my space. In the rain, I walked to the cafe. It was full. The rain had given everyone the same idea – let’s all go to Lem’s favorite writing spot and take all of the seats – it’s a great place. I can’t blame them for wanting to be there. Seeing that the place was full, I decided to go to another cafe. I walked back to my car – thinking – I would be leaving too soon for the car next to me to experience my street justice. I got into my car to pull out, and what do I see, the little old lady that I almost run over earlier was the driver of the car next to me. 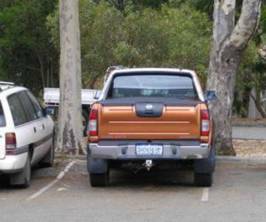 She couldn’t get into her car – because she had spilled into my space. She was in her passenger seat – trying to climb over her center console to get to the driver’s seat. I felt so bad. I wanted to teach lesson and instead, it taught me. There’s never a good time to be a jerk – no matter how justified you feel you are in the matter. Disappointed in myself, I left pulled out of my spot so that she could walk back out and into the driver’s side door. But as I pulled away, another car pulled right in. I wonder if he was also a jerk. Thanks for opening up that choice parking spot for me. I didn’t feel so bad for her. After all she was ALOT younger than me…..
I’m glad that you weren’t a jerk. I might be able to do lunch on Tuesday next week. Can you lunch on Tuesday? Name the time and place my friend.